English literature is rich in content and authors as its history of development spans through centuries. From the biggest to the smallest libraries in the world, there will always be shelves reserved only for the English books. Throughout mankind’s history, the UK has given to the world, many renowned names of literature who have firmly engraved their writings in traces of the world’s literature. The tradition remains still. UK universities continue to offer a wide variety of excellent English literature courses. With an international profile, the English Literature Department is an important sector of the School of English, Drama and American & Canadian Studies. Every year students from different countries who are passionate for English literature gravitate in this School. Throughout your studies, you’ll be introduced to a full range of stages of the development of the English Literature. You’re going to read books from exceptional authors, learn about the historical background when they were written and improve your writing and analysis skills. Additionally, there are study programs that will teach you literacy in different contexts. Thanks to their low student-teacher ratio you’ll get a lot of tutoring the whole time. Also, the Department organizes numerous events where you can join and share experiences with your peers related to English literature. 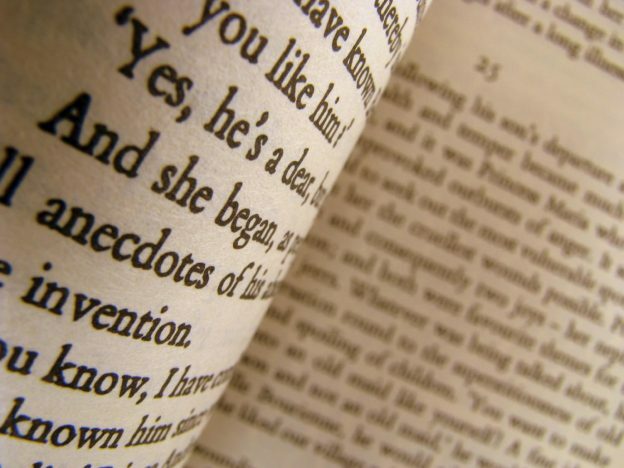 The Scottish university makes into our list of best English literature universities in UK. The School of English at the University of St Andrews offers various qualitative English literature courses which enjoy an international reputation. During the whole course, you’ll have the chance to read some of the best literary works ever created. Classes include continual open discussions where you can engage and give your opinions on a topic. This is important since it will indicate your deep critical thinking. Also, renowned professors and researcher will help you refine your writing skills. In addition to all, this school also applies to study abroad schemes. Gain the advantage from attending a semester abroad and learn new things. If English Literature is a passion that spans through whole your life than the University of Durham is a fantastic pick up for you. Apart from a high-quality education that you’ll find in the Department of English studies, you’re going to love the warmth of the environment too. Study curriculums in English literature comprise the development of English literature from the early stages in the Anglo-Saxon period to the most modern trends in English and world’s literacy. Here you can seek a single Honors degree in English Literature or a joint degree in English. The oldest British university has one of the best English Literature schools. Their nationwide and global reputation stems from their long tradition in higher education. Their English Department is proud to be the biggest Department of English of whole British higher education. As a globally ranked university, this School is the home to some of the most recognized academics in the world. Furthermore, every Oxford’s college has at least two English tutors who quite often are also engaged as professors at the Department of English. As such, this is a great opportunity for you to learn from individuals with a strong academic background from a wide range of subjects. If you’re driven by a huge desire to gain an in-depth insight from a full range of English literature development, then Oxford is the place to be. It offers brilliant opportunities that you will hardly find anywhere else. Its study courses are effective and flexible in the sense that you’re allowed to a certain degree decide which particular topics your program must cover. On the other hand, their libraries contain unlimited materials and you enjoy free access to all of them. At the University of Huddersfield, you’ll find several amazing English literature study courses. Regardless of your topics of interests in English literature, you’ll find something suitable at this place. You’ll be taught about numerous literary genres and their most representative authors, circumstances at which they were established and their development in different stages. Classes will engage you in active discussions which will help you shape and fine-tune your critical analysis and strengthen your communication skills and other interpersonal abilities. Aside from offering this exceptional level of education, these study programs aim to fill your studying experience with joy. The University of Glasgow it’s by no doubt one of the best English literature schools in UK. Its English study programs are much sought-after from students who are highly passionate about literature and want to cement their talent. The structure of the course will follow a progressive pattern. In the beginning, you will be taught most basic skills required to study English literature. You’ll learn essential writing and arguing skills to move further in a more analytical approach to literature. English Literature study programs at the University of Chester are designed so you can comprehend major skills and knowledge required to be successful afterwards. What it characterizes them the most is their mixture with other subjects. This ensures you learn English Literature in a wide spectrum of contexts and consequently you’ll be ready to seek many job opportunities after getting your degree. By delving you deeper into analyzing and discussing literary works of various genres and authors, you’ll be able to increase your critical awareness and you will reveal your whole potential in literature. Your English Literature degree at the University of Newcastle will absolutely take your talent a step further. Side to getting a firm foundation around core concepts and skills in literature you’ll get a comprehensive understanding of all important stages of developments in the English Literature. Also, English study courses at this university contain a placement year. This is a great opportunity for you to put your knowledge into practice and be ready to seek a job once you’re out of the university. The University of Swansea boasts amazing study programs in English Literature. Their reputation has gone beyond national borders attracting many talented students from all over the world. Their curriculum stretches in two extreme sides of English Literature development, from the early-Medieval times up to modern times. Department of English and Literature at the University of Reading is a leading center of teaching and research. Your English Literature degree at this university will provide a profound education in a complete range of English literature developments. With the help of excellent tutors, you’ll improve core skills to succeed in literature. Furthermore, the department has on offer, various joint degree courses which will enable you to get a certain level of expertise in other related subjects and ultimately increase your employability afterward.